It’s the week of Father’s Day and for anyone who follows the trends of grocery store deals knows this is the week to stock your freezer with steak and other cuts of meat. I guess the grocery store’s assume men like meat–they’re probably pretty accurate with that assumption (at least here at our house anyway). So, if your family (or the man in your life) enjoys a good piece of steak, this is the week to stock your freezers! *Many other grocery stores have steak on sale, so login to our website to see all of the best deals in your area! My favorite in expensive cut of steak is the Petite Sirloin. If you don’t want to spend a million bucks on steak, this is a great piece of meat for grilling, marinating, in stir fry’s, sandwiches or wraps. Today however, I have a recipe that will knock your Father’s socks off–a three meat baked bean recipe. These are not your ordinary baked beans. This recipe is adapted from a Famous Dave’s recipe my brother in law found in a cookbook. He introduced these beans to us at a family get together and they were seriously the hit of the party. We all could not stop talking about them. I even saw people scraping out the sides of the pot trying to get every last ounce of goodness out. It was almost comical how much we all were dying over how good they were. The batch he made was gone in a few minutes, so I doubled the recipe so it’s perfect to feed a crowd without people getting upset it was gone too fast. The great thing is you can freeze the leftover beans for a later meal if you need to. I highly doubt any will be left though! They are meaty, sweet, spicy & all together amazing. I promise the Father’s in your life will love you forever if you make these beans for them this weekend. Serve them with Ellen’s Fall Off the Bone Ribs she’s posting tomorrow and you are set!! In a large soup pot, place the sausage and bacon pieces. Let them begin to heat and brown while you chop the peppers, onions and jalapenos. Place those items in with the sausage and bacon and let them saute until the onions are tender and the sausage is broken up and cooked through. Add the beans, seasoning, paprika and Famous Dave's BBQ Sauce. Turn the heat to medium low and let the beans simmer while you cook the steak. Season the steak with more steak seasoning and place on a hot grill. Let the steak cook on both sides until browned and cooked to medium or medium rare (don't over cook or the steak will dry out). Remove the steak from the grill and let them rest for 5-10 minutes. Cut the steak into small pieces and then add the steak to the pot. Stir the steak into the beans and then let continue to simmer for another 30-45 minutes on low heat. The longer the beans simmer, the better the flavor will be. You can also put the beans in a crock pot and keep them on low until ready to serve. Beans are even better the next day, so don't be afraid to make a lot. You will want them for several days in a row 😉 This recipe serves 12-15 people. You could half this recipe if you need. I have been struggling with deciding who to do my Father’s Day tribute on today. There are so many amazing men and Father’s who I know, admire and love. Last night however we were at a family get together and the answer came to me. Of course it needs to be my Uncle Duane! There is not a better man in this world. Literally. There are great people who have accomplished many great things in life, who have financial or personal success or are really outstanding people. However, my Uncle Duane is someone who has been through the most horrifying and life altering trial, and yet he continues to be the most kind, happy, genuine person I have ever met. I really feel it is worth telling you about Duane’s story because it is really that incredible. He has forever changed the way I look at being a parent, and my outlook on life. Duane lived in Salem before we met him. It’s a small town in Utah where everyone knows everyone and people are just good, wholesome kind of folks (I love small towns!). He had a beautiful wife, three darling children and had the ‘perfect’ family life. They were happy, he had a good job, his wife was a school teacher and they loved being together and being part of their small town community. 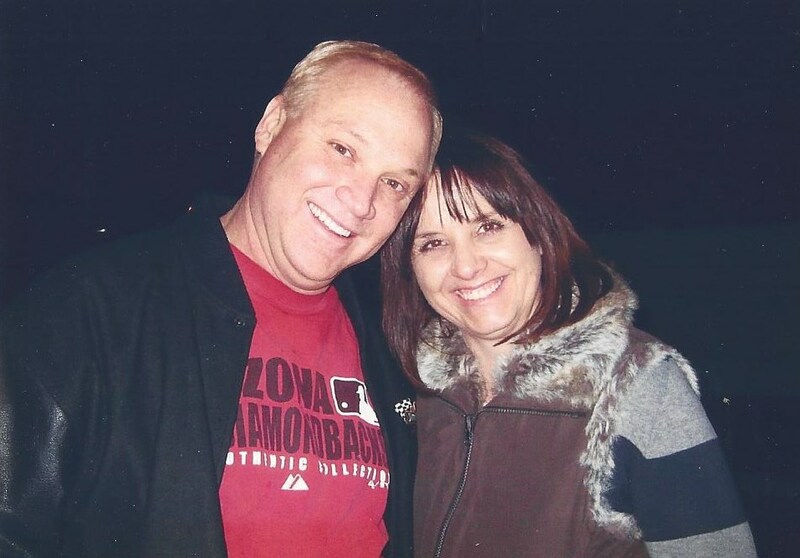 In April 2007 they had a family trip planned to Duane’s sister in law’s home. Duane at the last minute was not able to get off work and so Crystal decided to leave with their three children to Colorado on her own. They said their goodbyes and that would be the last time Duane would see his family again (in this life that is). He got the horrifying call and was told that ALL of his family was killed instantly in a head on car crash in Colorado. 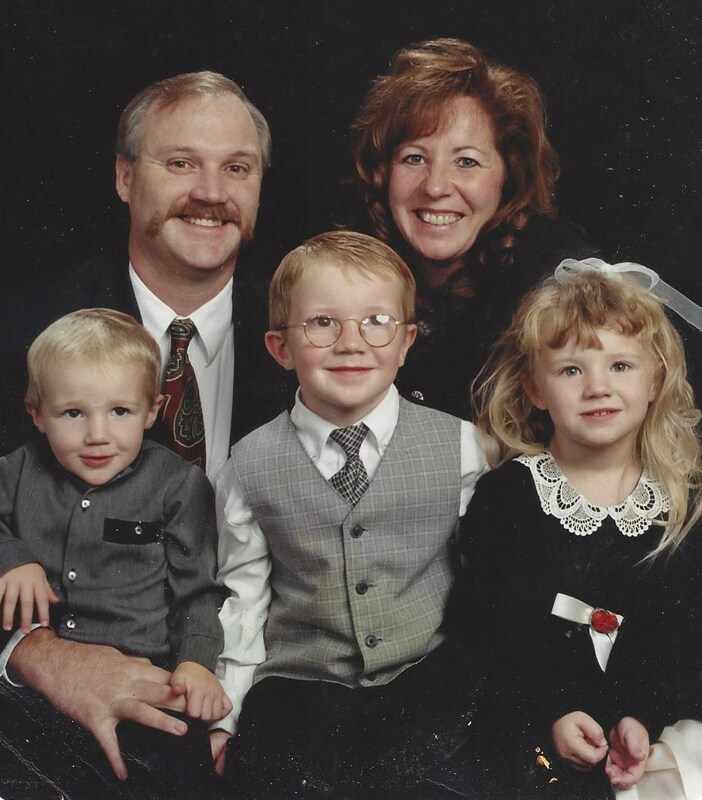 His wife age 47, his son Colton age 9, Annie 7 and Nicholas 5 had all been killed. Leaving Duane all alone. Not to say he didn’t have family and friends who loved him, but he had his entire family taken from him. In the blink of an eye his whole life turned upside down. Sometimes I think about how those moments must have been for Duane and it’s almost unbearable to think about. Those heart wrenching moments: the four caskets at the funeral, four headstones, an empty house, memories everywhere you turn. The thoughts are haunting to me and I didn’t even know Duane at the time. 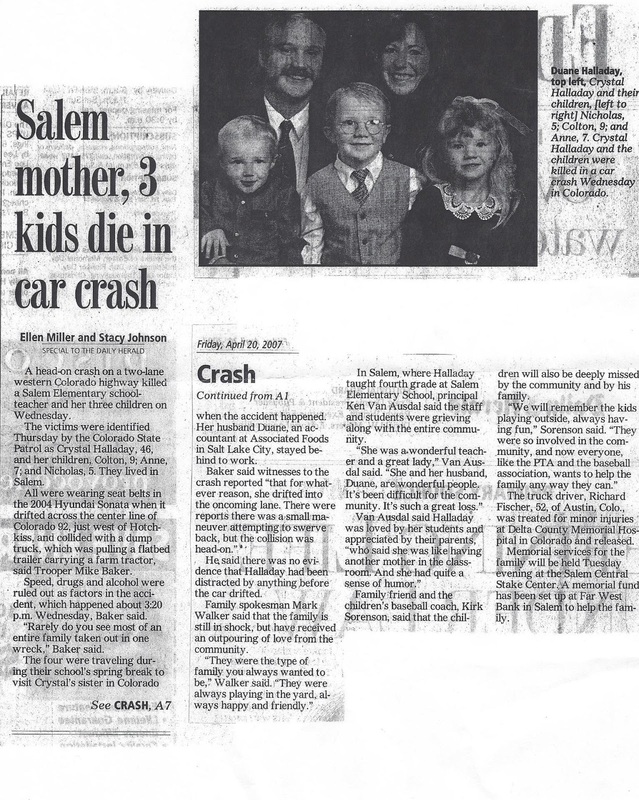 I remember hearing about the accident on the news 6 years ago but didn’t know anything about their family. That is, until Duane became an angel in our lives. I have an amazing Aunt. She too has been through trials beyond comprehension and dealt with them with such grace and patience that she is also an inspiration to me. For ten years she also suffered…alone. Waiting for her ray of sunshine to come into her life to brighten her dark days. It was in October of 2009 that she met Duane–her ray of light! The minute we all met him (before we knew his story) we were enthralled at what a good and decent man he was. He is one of those people that exzudes goodness. He makes me, and anyone who is around him, want to be a better person. He and my aunt Kath were married in March of 2010 and they have not stopped smiling since. Despite both of their trials they are happy and in love. I think the miracle to their story is they have been happy all along their journey–through the good and the bad. For them, happily ever after comes one day at a time. And it’s a choice. *We are loved by a God who knows the end from the beginning. *Trials born with patience will be a blessing to us, as well as to those who see us suffering. *Being a parent is a blessing. We should cherish EVERY moment we have with our children and family because we never know when our time on earth will end. *We can choose to be happy, even when our life is turned upside down and there seems to be no reason to smile. Duane never stops smiling! *Families are eternal. I know that. I believe that and I am grateful to know our families are more than mere acquaintances in this life. The bonds we form here will live on through the eternities. *Even if you are not a father, or parent, we can love and be a mentor to children all around us. Uncle Duane has become one of the favorite uncles of all of our children. They love to be with him and he is amazing at supporting them, going to their sporting events and continues to touch children’s lives each day. It may not be his sweet, three, angel children, but it is children all the same. And they love him for it! Thank you Duane for being a ‘father’ to so many and continuing to show us how we can ‘choose’ to be happy just like you 😉 We love you! Beautiful, Shandra! And I 2nd the sentiment–he is a righteous example to all of us! We're so glad he's part of our family and there for Kath! Thank you for sharing this story, I remember hearing about your uncle on the news and it was one of those stories that stuck with me. I had no idea you were related to him. I am thrilled to know he was able to find happiness again. How great for your aunt to married to a man that will truly never take her for granted. This post brought me to tears:) Thanks again!